There is a saying that goes, “youth is wasted on the young”, which makes sense because the older we get, the more of our youth disappears. 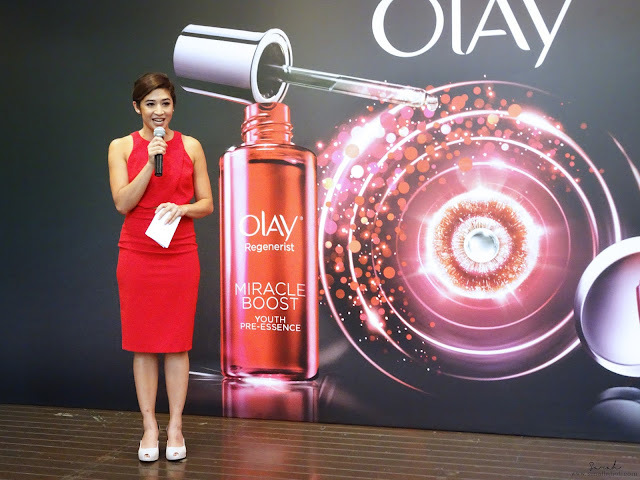 However, with Olay’s Regenerist ‘Miracle Duo’, there might just be a glimpse of light and hope at the end of the tunnel. 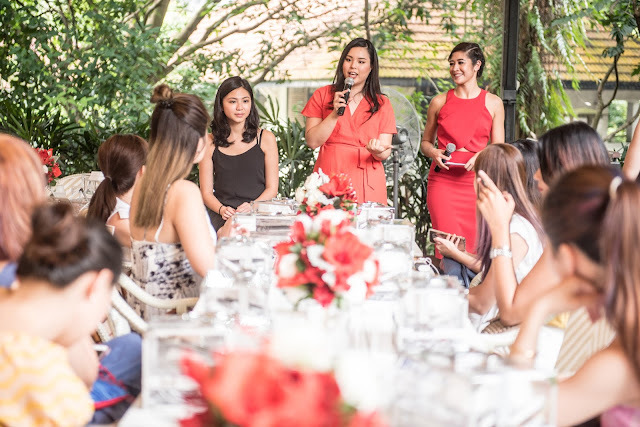 So, let's join us for an anti-aging journey with Olay’s Regenerist Miracle Duo at Nosh, Rochester Park Singapore..
By now, I think it’s safe to say that all of us are well acquainted with Olay and its products since they’ve been around for more than 60 years. 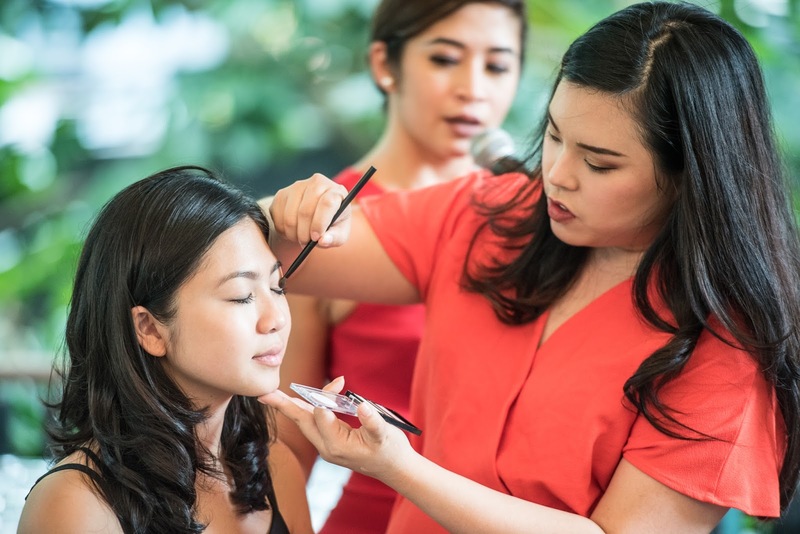 Olay is known for their famous tagline “ageless”, and continuing on with that legacy has proven to be Olay’s mission time and again over the years. Recently, we were invited to Nosh, Rochester Park Singapore to witness the brand new launch of Olay’s Regenerist Miracle Boost Youth Pre-Essence. With over 10 years of research, and countless of hours of testing and retesting, Olay’s Regenerist range has created a revolutionary anti-ageing pre-essence with double active penetration into the skin, whereby the first drop starts the renewal of a million cells. 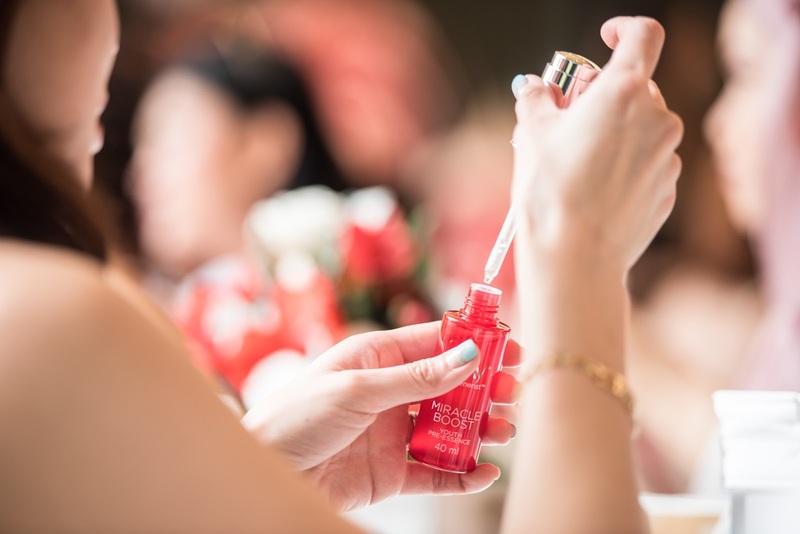 The pre-essence has a special automatic-dropper that ensures that you get the exact amount of product during every application. The texture is a translucent water-gel like liquid, and when applied to the skin, it is quickly absorbed, and leaves the skin feeling soft and freshly scented. As for the Olay Regenerist Micro-Sculpting cream, it contains vitamins and anti-oxidants as well as collagen to help renew, repair, enhance, and most importantly protect the skin from aging side effects such as developing wrinkles and fine lines. The Micro-Sculpting cream’s consistency was very light and smooth. It left zero sticky residue after application, and has a lovely fresh scent to it. By pairing up the pre-essence with Olay’s Regenerist Sculpting Cream, the two become a ‘Miracle Duo’. So how does it work? It’s pretty simple. The pre-essence essentially boosts the renewal of surface cells by providing double the penetration to the skin, as well as, helping to reduce fine lines and pores. Now you may be wondering, does this thing really work? Well, I tried the pre-essence first hand by comparing between Olay’s Miracle Boost and a different high end product on my arms. The head scientist of P&G measured the amount of hydration that was present on my skin before and after the application of the two brands. To my surprise, the arm that was applied with a different brand had lost its moisture, but the arm with Olay’s Miracle Boost had increased the amount of moisture on my arm. Needless to say, Olay performed with flying colors. 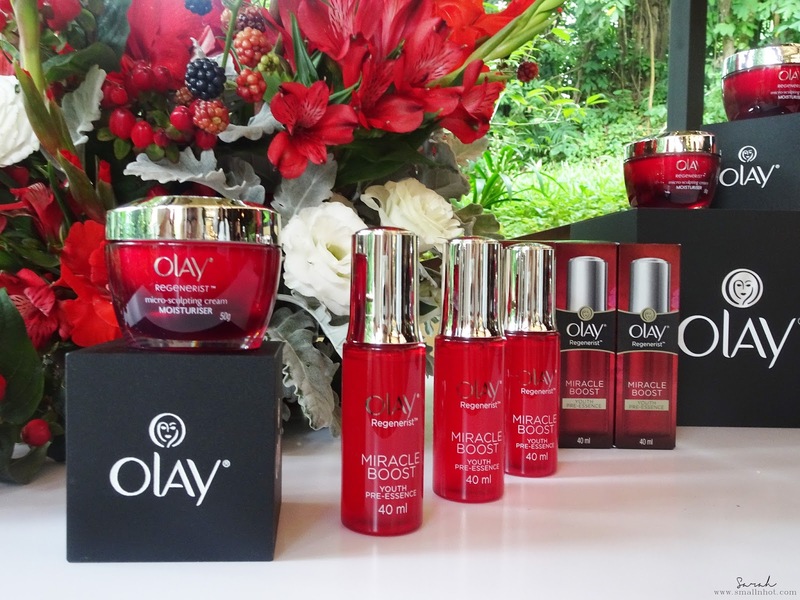 I have been personally using this product for the past few days, and I am without a doubt over the moon with the results because not only do the ‘Miracle Duo’ perform, but it has sparked an old-romance between my love for Olay and its products again. The Olay Micro-Sculpting Cream is available in-stores and the Olay Miracle Boost Youth Pre-Essence will be available nationwide from 1 November 2016. “Youth is happy because it has the capacity to see beauty. Anyone who keeps the ability to see beauty never grows old.” – Franz Kafka. 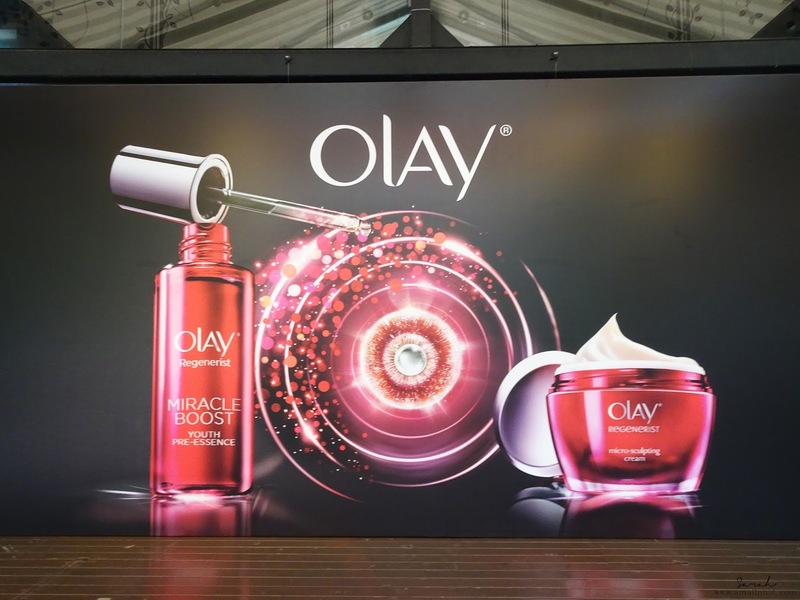 Always keep seeing the beauty, Olay. 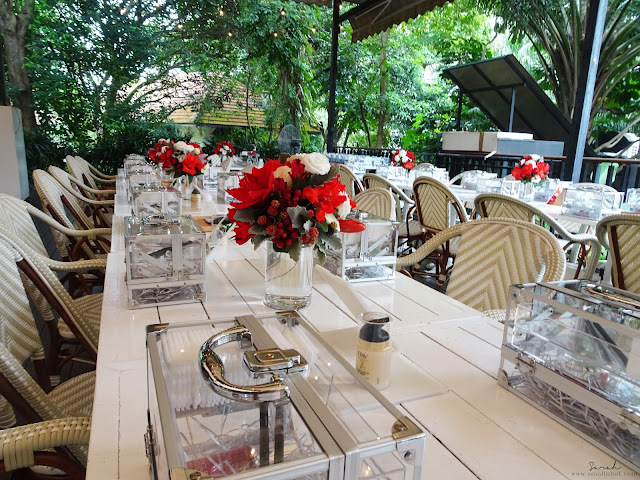 From the hotel (St. Regis Singapore) to the venue (Nosh) as well as the people, thank you for the wonderful experience you’ve so graciously provided.